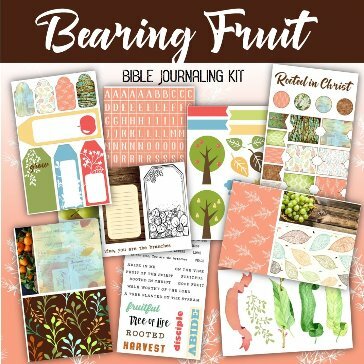 Let your soul be inspired with the "Bearing Fruit" Bible Study and Bible Journaling Kit. 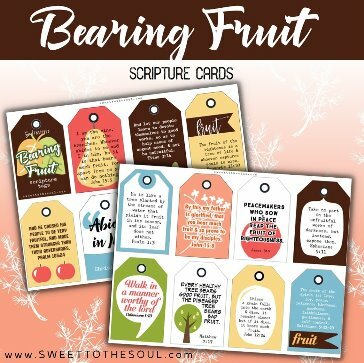 Our lives are all producing something, we are all bearing fruit – whether good fruit or bad fruit. 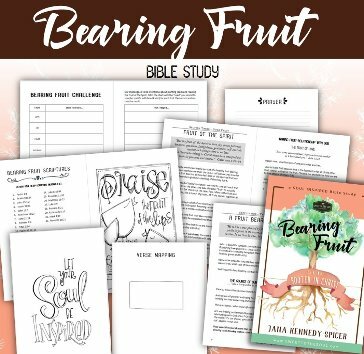 And we are each designed to bear fruit, but do you know what fruit you were designed to bear? 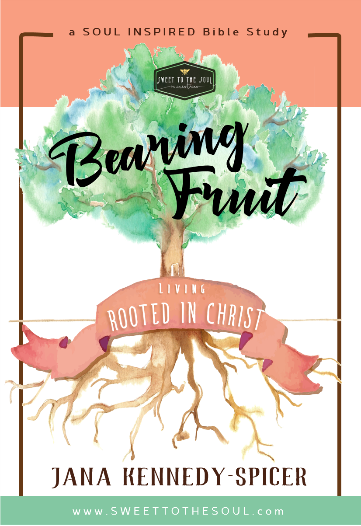 What is the fruit your life produces? study just doesn’t fit your schedule. 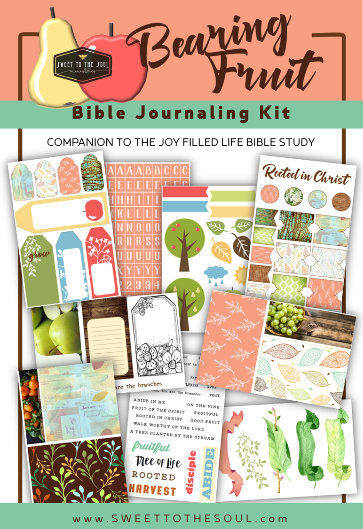 Also included are color pages, Bible journaling templates and blank pages to let your soul be inspired. 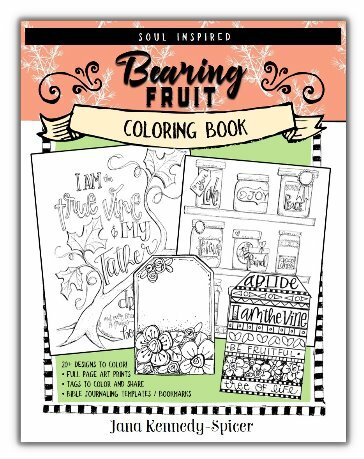 •Full Page art prints20+ Designs to color! 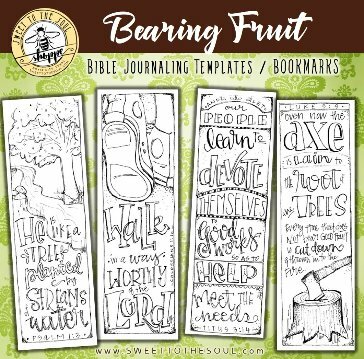 ​If we want the nourishment that only God can give we must go directly to His flowing waters - the Word of God. 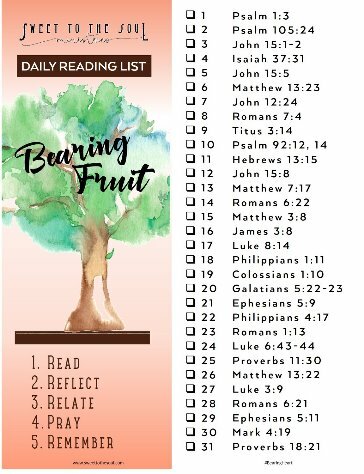 ​Acknowledging what kingdom success looks like helps us to not get distracted by what it is not.